If you have any information about these crimes or any person(s) involved, you are urged to call Crime Stoppers or submit a Web Tip. You do not have to give your name CRIME STOPPERS will pay a cash reward of at least $50 and you can remain anonymous. 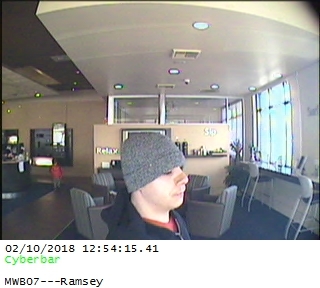 Crime Stoppers of the Inland Northwest is offering a cash reward of up to $1,000 for information leading to the identification and arrest of the suspect who robbed Mountain West Bank on February 10, 2018.
undisclosed amount of cash and immediately fled the area. bandage across the bridge of his nose. See the attached photograph. Crime Stoppers, in partnership with the Washington Bankers Association (WBA), offers a $1000 reward for information that leads to the arrest of suspects involved in the robbery of WBA banks. <?xml:namespace prefix = v ns = "urn:schemas-microsoft-com:vml" />Anyone with any information regarding these Bank Robberies are urged to call Crime Stoppers at 1-800-222-TIPS, or to forward the information via the website ww.crimestoppersinlandnorthwest.org. 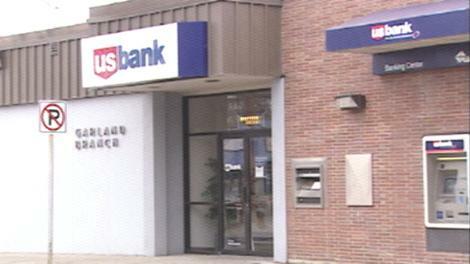 Police say a robber struck the U.S. Bank at Garland and Lincoln a little after 1:00 p.m. Monday. Witnesses say the suspect was a black man and he was wearing a mask. He showed a weapon. Spokane Police say a dye pack was put in with the cash, and when it blew up nearby the suspect dropped the cash. Police say the suspect should have red dye on him. Anyone with any information regarding this Bank Robbery is urged to call Crime Stoppers at 1-800-222-TIPS, or to forward the information via the website ww.crimestoppersinlandnorthwest.org.